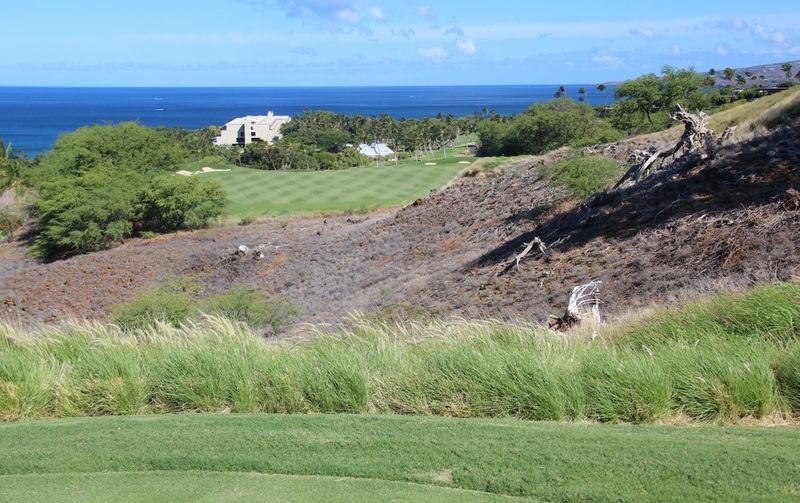 The Big Island (official island name is Hawaii) is indeed much larger than any of the others in the Hawaiian Island chain. 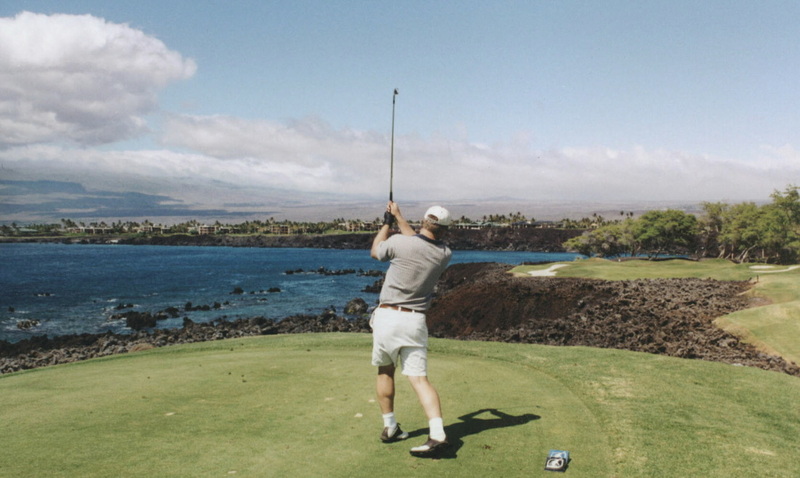 Most of the famous golf courses are located on the dry Kohala coast on the west side of the island and usually incorporate lava flows into their design, with many also running along the coast. 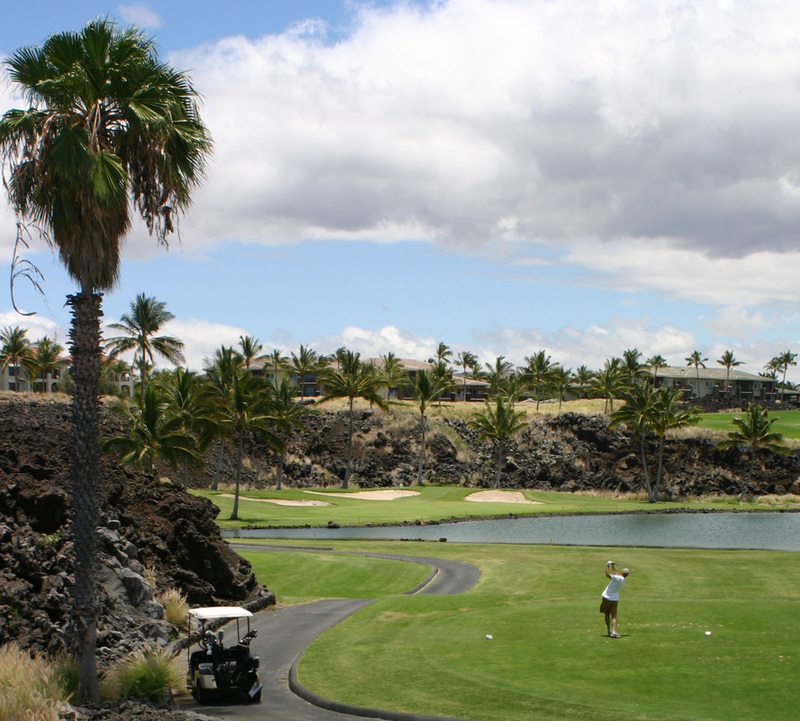 There are other types of golf courses on the Big Island as well with some being built at much higher elevations.